The FDNY All-Star Breakfast is one of the FDNY Foundation’s most popular events of the year and seats often sell out quickly. The event brings together major figures from the sports world with members of the FDNY and gives both groups the opportunity to honor the men and women of the FDNY. Held each September, the breakfast also serves as a way for the groups to remember those members of the FDNY who made the Supreme Sacrifice on September 11, 2001. 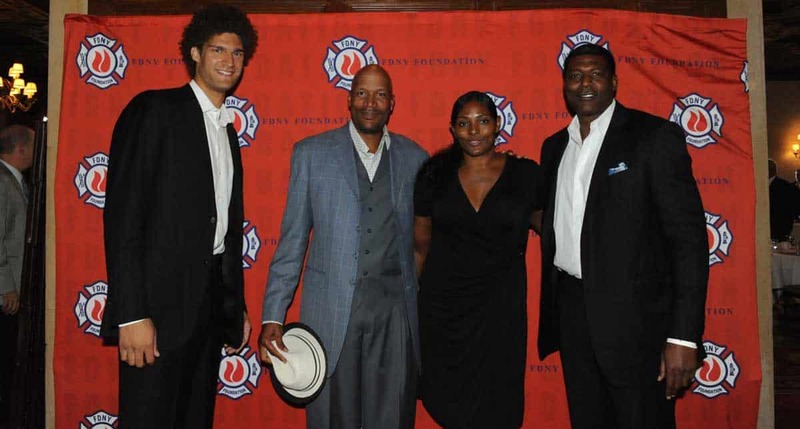 Past event attendees include Hall of Famer Joe Torre, Grand Slam tennis champion John McEnroe, New York Knicks All-Star John Starks, New York Mets pitcher John Franco and Brooklyn Nets center Brook Lopez. To learn more about attending the FDNY All-Star Breakfast, click HERE.